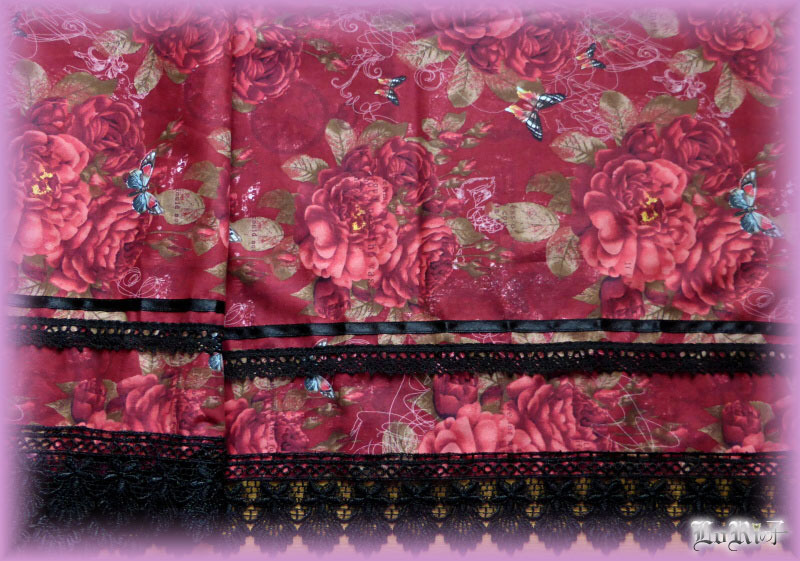 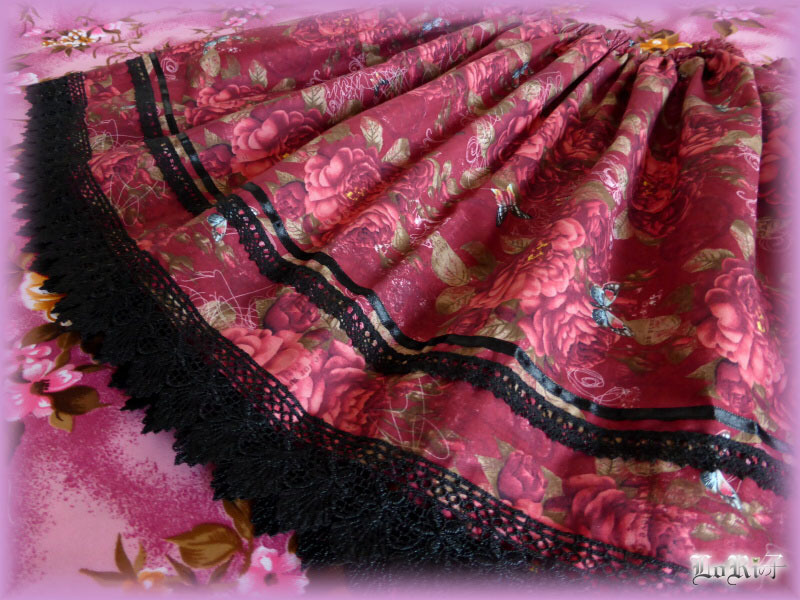 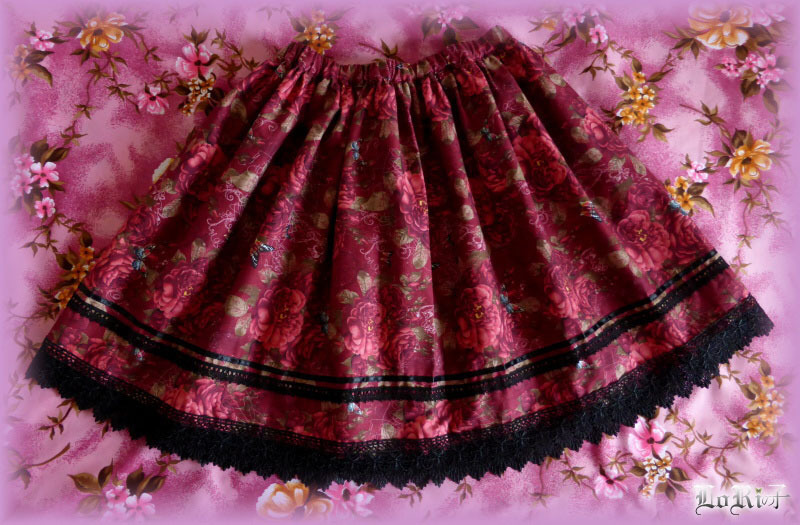 Beautiful skirt from Iron Orchid series with amazing print of flowers, butterflies and clocks in burgundy color. 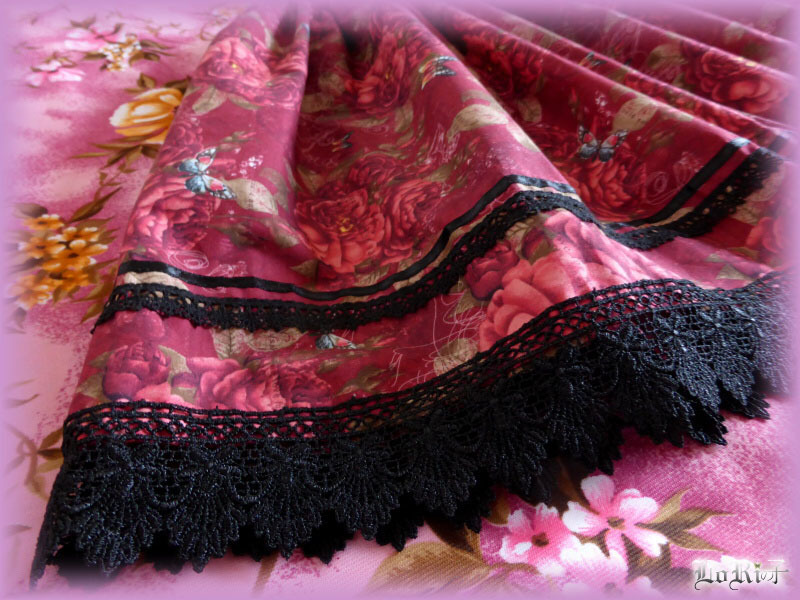 Decorated with satin ribbon, cotton lace and wide rayon lace in the bottom – all of this in elegant black. 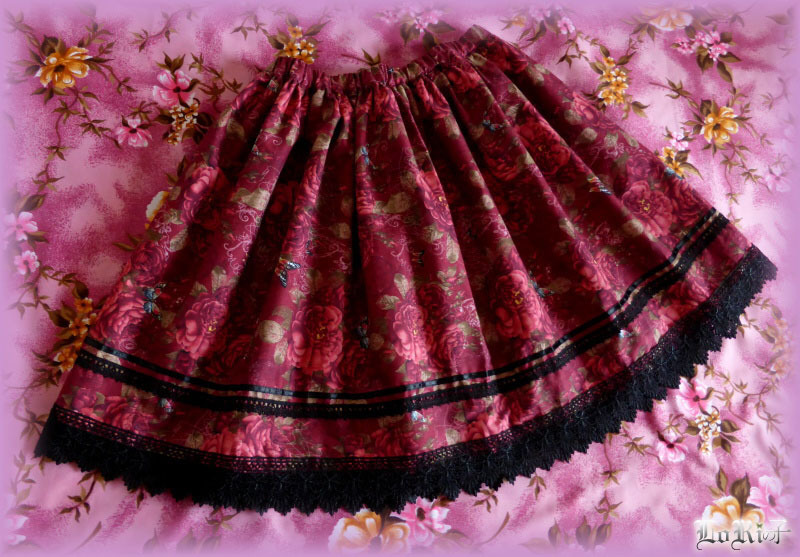 It has adjustable elastic waist.